Olympia Film Festival and Camera Zizanio 2013 are here! 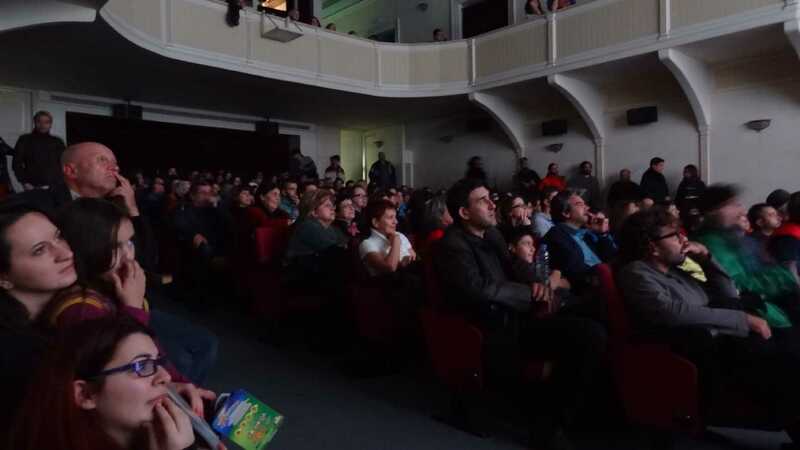 The 16th edition of the Olympia International Film Festival for Children and Young People will be held in Pyrgos, Amaliada, Lechaina, Gastouni and other cities of Ilia Prefecture from November 30 to December 13, 2013.Competition programs will be held from 30/11/2013 to 7/12/2013. Screenings and events will also be held in the other two prefectures of the Western Greece, Achaia and Etoloakarnania Districts (Patras, Aegion, Messologhi). The Olympia Festival presents films by professional filmmakers, dealing with childhood and adolescence. In the competition section of the 16th Olympia Festival, professional fiction, documentary and animation films will be screened – 13 feature and 48 short films, from 44 countries. The 13th edition of the European Meeting of Youth Audiovisual Creation – Camera Zizanio is taking place in parallel with the Olympia Festival. 150 films from all the European countries participate in Camera Zizanio. Compared to last year, more films participate in the Greek section, i.e. 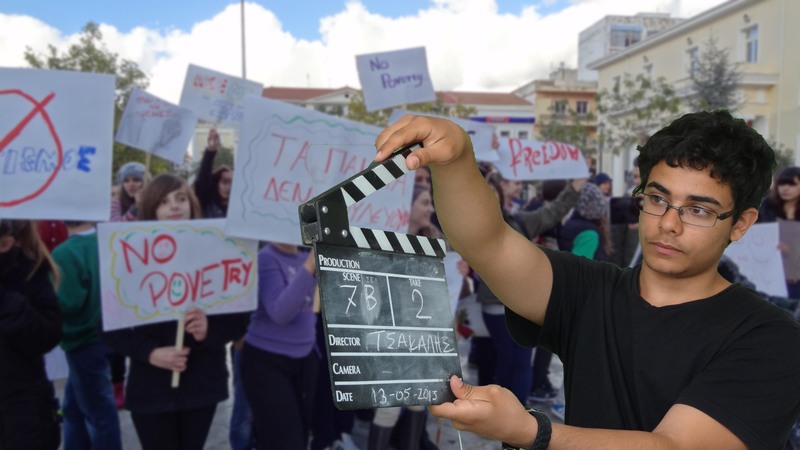 185 films by 175 schools from all over Greece. Moreover, 30 films will be screened in the international panorama section and in special screenings. 60 more films will be screened for tributes and other side events. “Young European Creation on tour”, animation films, with no dialogues, for children aged 6 to 11, in collaboration with the French film festival Cine Jeune. RAINBOW (Rights against intolerance building open – minded world), a program on diversity and self-identification of young people, useful for educators, in collaboration with the European Children’ s Film Association – ECFA. “Zoom in European Children’ s Films”, films on ecology, family, economic crisis, human relations, school environment etc. “War as seen by children”, a memory tribute to 63 young people, aged 14 to 25, from the Refugee Camp in Patras, who were executed by the Nazis on September 4, 1943, in collaboration with the Pan-Minor Asian Association of Achaia and suburbs. · Are inspired by love for People, Life and Nature. Are promoting critical and creational thinking of young people. Are helping the mutual understanding of people from different cultures. Any films promoting violence, racism, war and sexism are excluded. 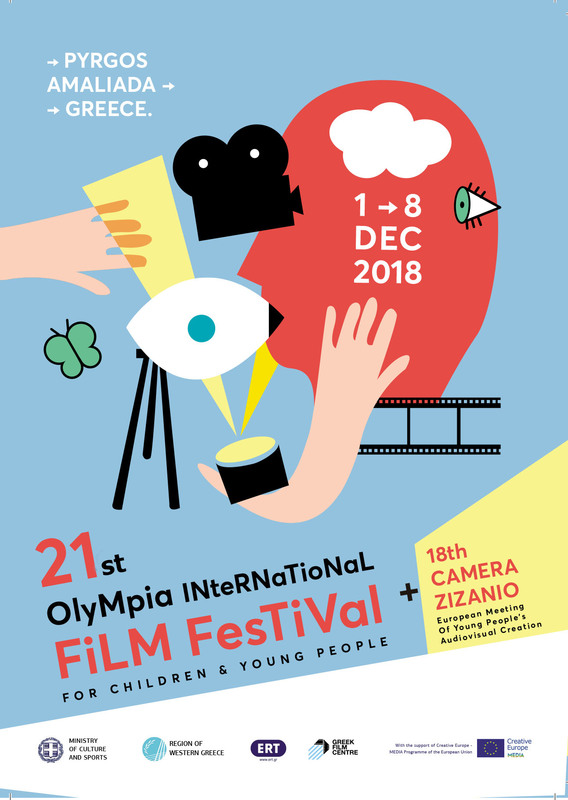 The Olympia Festival, honouring those principles, is an equal member of CIFEJ (Centre International du Film pour l’ Enfance et la Jeunesse) and ECFA (European Children’ s Film Associaton). For the competition program of the 16th Olympia Festival and the program of the 13th Camera Zizanio, there will be respectively international adult juries, and also children juries, which will award their own prizes. The Festival is financed by the Ministry of Culture and Sport and the Western Greece District. It is also supported by and collaborates with the Municipality of Pyrgos, the Greek Film Centre, the Thessaloniki International Film Festival, the Hellenic Director’s Guild, the Technical Institute of Western Greece, the Municipal Community Service (DIKEPA), the Film Club of Messologhi, the organizations of first and second grade educators, the Pan-Minor Asian Association of Patras and suburbs, the Federation of Greek Film Clubs, the Scriptwriters Guild of Greece, various organizations of the audiovisual industry and other organizations. The Festival is supported by the MEDIA program of the European Union.